This year is the centennial of the end of First World War. Some 48,000 Albertans put their lives on hold to serve and many thousands more put their hearts into keeping things going at home. Alberta high school students are invited to participate in this multimedia contest to discover and share these amazing stories from our community. The war touched every Alberta community in some way. 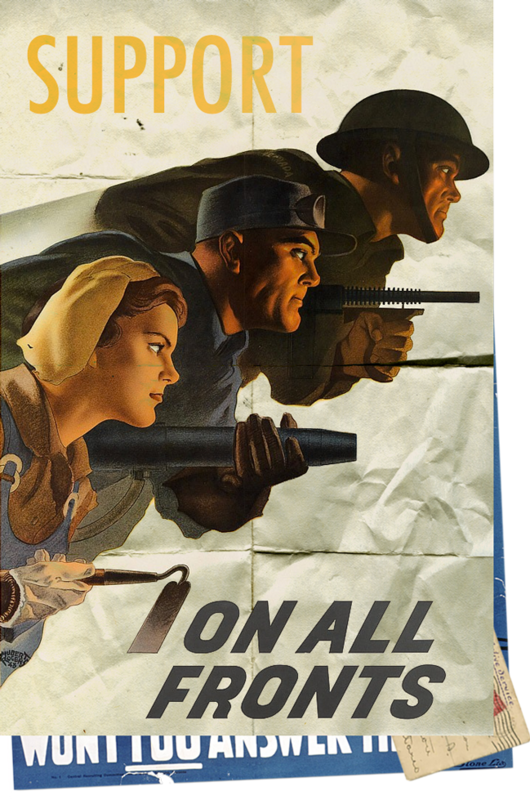 The SPIRIT of Peace contest invites Alberta students in Grades 10-12 to share how their hometown and home front heroes made a difference throughout the Great War era. Go to your local museum or library. Unfold the stories of the men and women who marched to war, farmed the crops to keep everyone fed, kept the businesses and factories running, cared for the injured…and who dreamed of peace. The SPIRIT of Peace is an initiative of the Lieutenant Governor of Alberta through the History and Heroes Foundation. Albertans in grades 10-12, you're invited to create an original multimedia presentation that brings your town’s First World War story to life. Participants are strongly encouraged to make use of local history resources. Entries should reflect how your local war hero or home front leader demonstrated the “SPIRIT” traits of: Sportsmanship, Perseverance, Integrity, Resiliency, Inspiration and Teamwork. Entries much be submitted in a multimedia format such as PowerPoint, MovieCreator or GoogleSlides. Winners will be announced during Remembrance Week 2018. Learn more through history resources, first-hand accounts, and by exploring your community's museums and cenotaphs for local connections to share with us. Do you have an ancestor who fought in the First World War? Congratulations to the three young Albertans who took home top prizes in the SPIRIT of Peace contest. Thank you to everyone who took time to honour their community's Great War heroes through the contest. 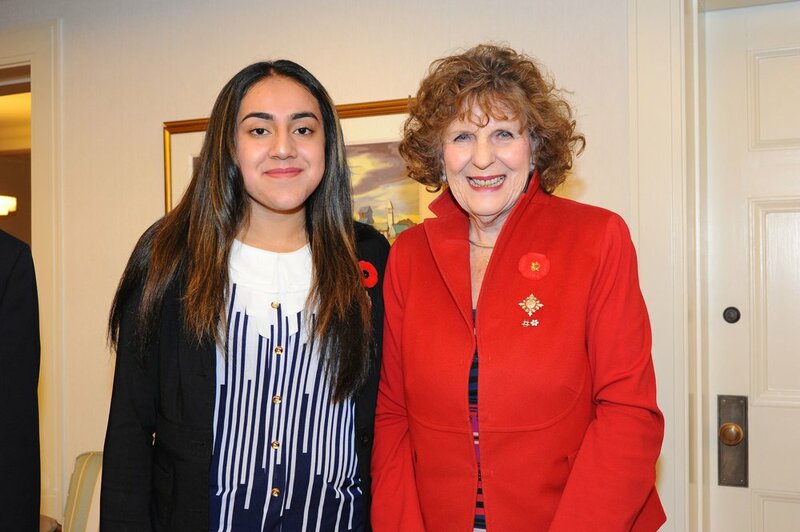 SPIRIT of Peace contest first prize winner Ghalia Aamer and Lieutenant Governor Lois Mitchell. ¹ The First Prize winner was Ghalia Aamer, a grade 12 student from Old Scona High School in Edmonton. Ghalia's entry was a video tribute to Edmonton solider Edmund Alberta McDonough, who died in the Battle of Passchendaele. Ghalia received her prize at a special Armistice dinner that the Lieutenant Governor hosted at Government House. ² The second prize winner was Sophia Lin from Westmount Charter School in Calgary. Her presentation was a tribute to Great War veteran Mike Mountain Horse. ³ The third prize winner was Nick de Gier from Hope Christian School in Lacombe Alberta for his video tribute to the Great War heroes of his community.